Tuesday. Emom x 10min: 3 push jerk @ 70kg. Back squat 7x5 @ 125kg. Wod, 15-10-5 of: hspu, kb swing @ 32kg, box. Time, 3.40. Had plans of going to train at my regular gym after a rest day. Yesterday was a compulsory recovery as I went to work early and came home late in the evening. Our lives have been busy lately with Pauliina with lots of errands to run so that's why there have been couple of rest days I would not probably normally take. 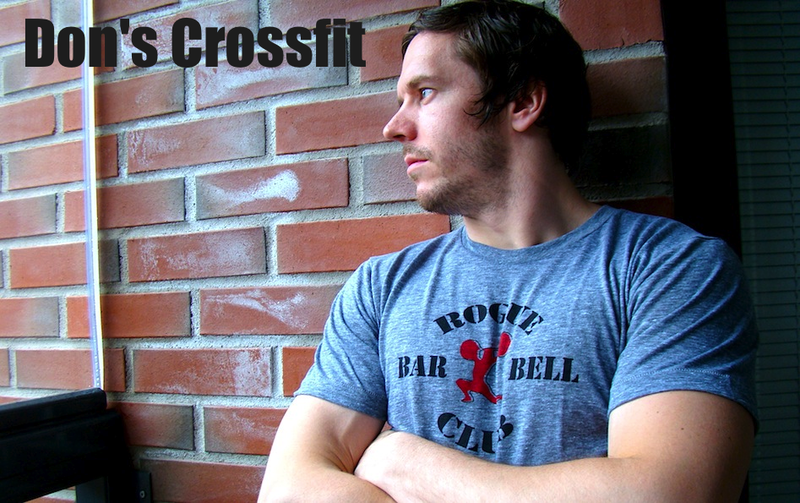 Toni threw me a message in the morning of coming to throw down at Crossfit Kehä. Didn't have to think even for a second. It was awesome to finally get some weight overhead. I can tell it's been some time since doing jerks as the timing felt a bit off at times. However, the weight was definitely doable. Not too heavy. There was practically not much warm-up before I tapped the clock on. I also dropped the bar on my back rack kind of awkwardly couple of times. I'm still happy on the way this 70kg bar moved up and down during these 10 minutes. Lately I've added volume on the back squats and completed sets of 5 reps for a good bunch. It's been either 7, 5, 3 or 1 set of 5 reps, and the weights have been adjusted accordingly. This week I jumped 5kg up from the previous 7x5's. Took the sets every 3:00 minutes so that left recovery rather short. Last rep of the last sets were quite heavy. 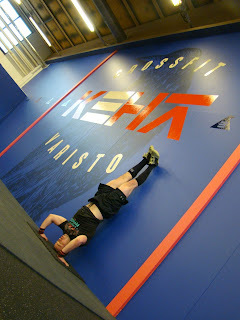 The co-owner of Crossfit Kehä - Miku - had completed this workout and left a teaser on the whiteboard and he had also talked Toni over to fight this metcon. I figured this must be a very intense one, and the goal should be unbroken. My hspu's are strong enough to go through them without breaks. Okay, kb swings were a bit of a mystery how they might affect my shoulders but I was pretty sure for not letting them disturb my focus. Kb swings were okay too. My legs were jello after the strength piece so it was a bit exotic to do swings and boxes with as much intensity as this one. This workout was definitely worth doing it. Short and intense. Lungs were burning.